But the new version also improves the handling of team calendars. Now you can also decide to exclude the body of the calendar item from the team calendar to have private calendar items show up in the team calendar without disclosing their private details. To get more info about Easy2Sync for Outlook please visit the info page of our Outlook sync software. If you ever have a problem with your PST file (like strange errors in Outlook or messages about a ‘corrupted’ PST file), you can use Microsoft’s ScanPST to fix the problem. There’s a tutorial at Petri on repairing the PST file with the all details, because it can be quite tricky to find and use the ScanPST. We’ve just published the version 2.04 of our boilerplate text and helpdesk software. The new ReplyButler release fixes a problem that could happen with the registration of the software. Furthermore it introduces placeholders for date and time that can be used in signatures and text templates. If you’d to have like more info about ReplyButler please visit the ReplyButler homepage. We’ve just release another version of our file synchronization Software Easy2Sync for Files. The major change this time is the improved handling of daylight saving time changes. Whenever it has changed, the file times on some file system change, too. The new release is designed to handle this easily and automatically. For more info about Easy2Sync, please visit the Easy2Sync homepage. 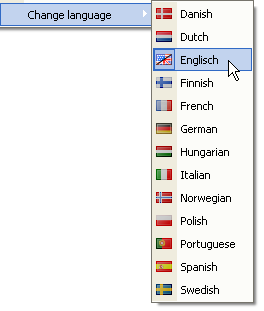 We’ve just published the new version 2.05 of our Outlook synchronization software “Easy2Sync for Outlook”. The major new feature is the integrated spam filter. It’s very fast and very easy to handle. Just install the new version and you’re done. The filter is already trained and will simply skip spam mails whenever you synchronizing. 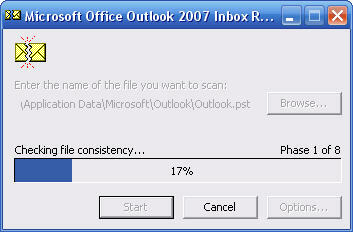 This speeds up the sync process as less e-mails have to be transferred and it preserves space in your Outlook PST files. As always, the update is free for registered users. Please click here for more info on our Outlook-synchronization program. We’ve just released version 2.03. And the big news is that ReplyButler is now supporting boilerplate texts (and answering phrases) in 13 languages: Danish, Dutch, English, Finnish, French, Hungarian, Italian, Norwegian, Polish, Portuguese, Spanish and Swedish. Furthermore there are of course some minor improvements like speedups, bug fixes and an improved name and language recognition. For registered users the update is free (as always). Please click here for more info on our boilerplate text software for Outlook.